Stableford scoring systems are stroke-play formats in which the high total wins, not the low. That's because, in Stableford, your final score is not your stroke total, but rather the total points you have earned for your scores on each individual hole. For example, a par might be worth 1 point, a birdie 2. If you par the first hole and birdie the second, you've accrued 3 points. As a format for club tournaments, Stableford is popular in the U.K., Europe, and South Africa, among other locations; it is much less common in the United States. On the major pro tours, currently, only the PGA Tour's Barracuda Championship uses Modified Stableford scoring. The U.S. PGA Tour and the European Tour used to have other Modified Stableford tournaments—The International and the ANZ Championship, respectively—but both those events are now defunct. Stableford Competitions are addressed in the Rules of Golf under Rule 32. Stableford is a form of stroke play and, with few exceptions, the rules for stroke play apply. The "fixed score" in question is set by the tournament committee. If the fixed score is set as bogey, then a triple bogey is worth 0 points, a double-bogey 1 point, a bogey 2 points, a par 3 points, and so on (the committee might also set the fixed score as a numerical value—say, 6 strokes—as opposed to a relative value). The rules differences for Stableford as compared to normal stroke play have to do with the penalties applied for breaking rules. In some instances (for example, exceeding the 14-club maximum), points are deducted from the competitor, as opposed to a stroke penalty. There are also a number of violations that result in disqualification. The rundown of rules differences in Stableford can be found in the notes to Rule 32-1b and in Rule 32-2. The Barracuda Championship (formerly the Reno-Tahoe Open) the PGA Tour (and The International and ANZ Championship before it) uses a Modified Stableford format (so-called because its points are awarded on a different scale from that described in the rulebook). The difference between a rule book Stableford and a Modified Stableford is usually reflected in the quality of the players. A traditional Stableford is appropriate for "normal" golfers (e.g., you and me), most of whom aren't going to be racking up birdies left and right. Therefore, the traditional Stableford's points system doesn't penalize players with negative points. The pros, however, are in a different league. And the Modified Stableford scoring used in tour events harshly penalizes a disaster hole but offers even greater rewards for very good holes. The strategy in Stableford formats can, in most instances, be summed up in three words: Go for it. Stableford competitions reward aggression and risk-taking on the golf course. In the traditional Stableford, for example, there are no negative points. If you are facing a carry over water that you normally wouldn't try, in Stableford you can take a shot at it - because if you fail, at worst, you get 0 points. And if you make it? The potential rewards are greater than the potential disaster. At the pro events, the Modified format presented even greater incentive to go for it. A birdie was worth twice as many positive points (2) as a bogey was worth punitive points (-1). Eagles offered huge payoffs (5 points). The professionals who have thrived at the tour events are those who made a lot of birdies at regular Tour stops. A golfer whose strength is steadiness - making many pars with an occasional birdie - is at a disadvantage in Modified Stableford. Those golfers who make a few bogeys but also make a ton of birdies are more likely to be atop the leaderboards. When those of us who aren't pros are playing Stableford, we'll need to use our handicaps in order to pile up the points. 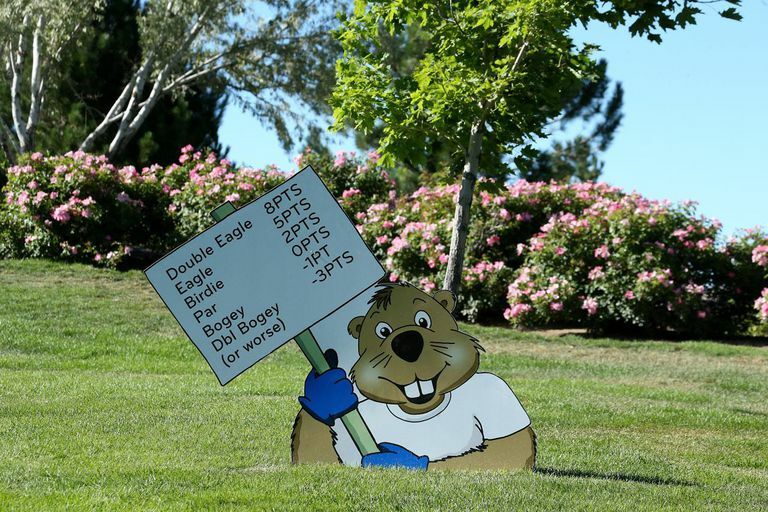 How many gross birdies will a 20-handicapper make per round? Close to zero. Pars will be pretty scarce, too. It would be difficult for a 20-handicapper to earn many points playing Stableford at scratch. According to the USGA Handicap Manual, Section 9-4b(viii), players in a Stableford competition should use full course handicaps, with strokes taken as they are allocated on the scorecard. There is an alternative way to try to make Stableford equitable for all players, without using handicaps. 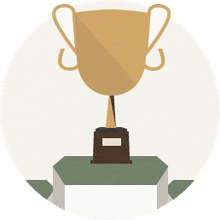 Rather than applying handicaps, a tournament might be played so that different point totals are awarded to players of different skill levels. Example: A par might be worth 1 point to competitors with handicaps of 2 or less; 2 points for golfers whose handicaps are 3-8; and so on up the ladder. There are two problems with this approach. First, it's tough to figure out what points totals should match which handicap levels in a way that ensures equity for all players. Second, with such an approach keeping score is simply a very confusing task.